As reported by Variety, acclaimed cinematographer Andrew Lesnie has died. Lesnie had reportedly been suffering from “a serious heart condition” over the last few months, and he had a heart attack earlier this week. He was 59. A frequently collaborator of Peter Jackson’s, Lesnie worked on the entire Lord Of The Rings trilogy, the Hobbit trilogy, King Kong and The Lovely Bones. 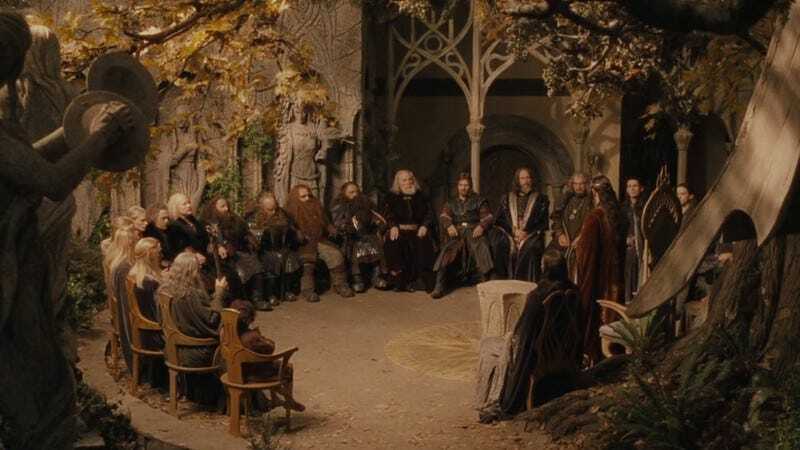 He even won an Academy Award for his work on The Fellowship Of The Ring, and its nearly impossible to deny the impact that the thrilling vistas of those J.R.R. Tolkien adaptations had on selling the majesty of the stories. Lesnie got his start in the film industry while living in his native Australia, working as a camera assistant on Richard Franklin’s 1978 horror film Patrick—which was recently remade with Charles Dance. Eventually, Lesnie caught the eye of George Miller while working on a documentary about Miller’s Mad Max movies, and when Miller went to work on the classic talking pig movie Babe, he brought Lesnie along as the director of photography. That’s how Lesnie came to the attention of Peter Jackson, who was especially struck by the “magical effect” of the lighting in Babe. That’s how the extremely successful partnership was born, with Lesnie’s work becoming nearly as important to the Lord Of The Rings series as Jackson’s. In keeping with his heritage and history of working on Australian films, Lesnie’s final project was the Russell Crowe-starring The Water Diviner.